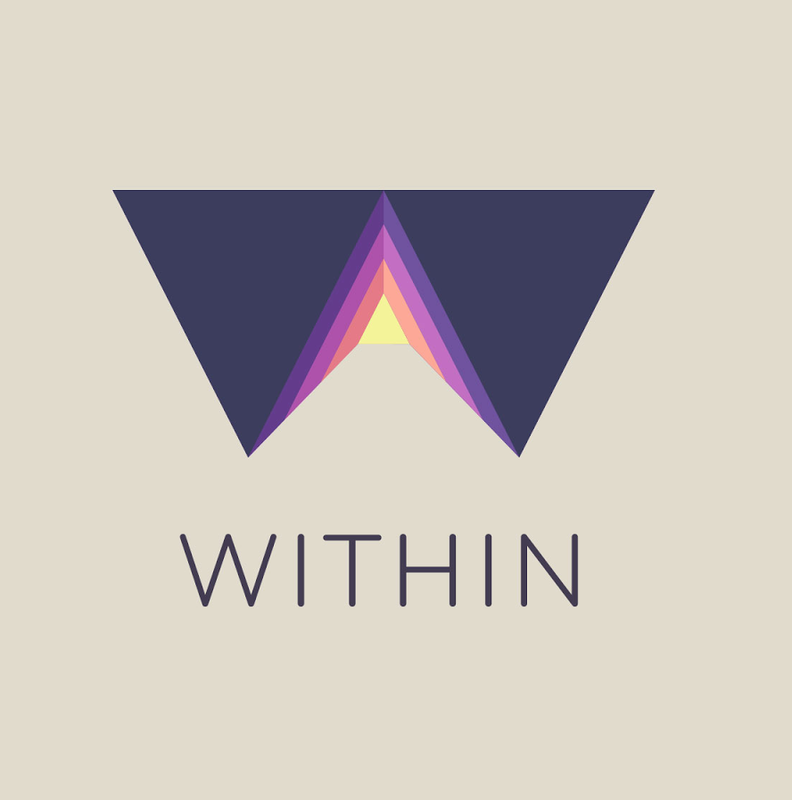 Within is a VR reality app you can download for free and works with all the major VR headsets; including Oculus Rift, Samsung Gear VR, HTC Vive, Sony Playstation®VR, and Google Daydream. I tested the application with a Samsung S8 and the DESTEK V4 VR Headset. After downloading, you can choose from a host of experiences to view in your VR headset. After selecting your desired experience, you can choose to stream or download. Once loaded, you have the option to view in a headset or just on your mobile device. This options adds an extra layer of accessibility that I appreciate, for those who may not own a VR headset. Upon selecting “View in VR Headset”, the app prompts you to rotate your phone and place into the headset. To begin the experience, move the selector dot into the “start” circle. At any moment you can press the headset’s button to view the progress of the experience, pause, replay, or return to main menu. During the experience, you can view the content 360 degrees, standing or sitting; although if you do move forward or backward, there is no effect on the content displayed (Within uses 3 degrees of freedom for most of the experiences in the library). After the experience finishes, you are given the option to replay or return to the main menu. When you return to the menu, the app prompts you to remove your device from the headset so you can then browse to select another experience to view. Within was developed for a vast audience. From browsing the offered experiences, you can see there are some geared more toward children, others young adults, and even others for older adults. There are entertainment based experiences, educational ones, and experiences to promote mindfulness. The Within app is an example of mobile Virtual Reality as each experience transports you to a different environment. 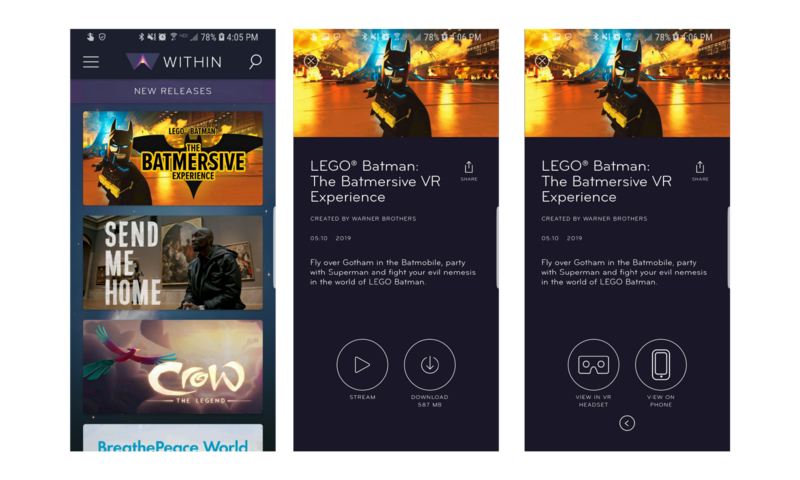 However, according to the Within website, there are also some Augmented Reality experiences available, but I was not able to test any of these. The Within App uses motion sensors to detect where you are looking in the VR experience as well as audio output to enhance the experience and further immerse you in the environment. I would like to be able to view and select from the library of experiences from within (no pun intended) the headset, rather than having to remove the device each time you want to browse and switch to a new experience. I also think there should be built in animation / time to calibrate your headset lenses / phone distance before the experience begins. I often found myself still trying to adjust the visual aids in the first 30 seconds; however, this could have been due to my limited experience in VR. Within is a great app for a quick VR escape. Each experience I tried, I found myself interacting with mentally and physically (pretending to conduct during an orchestra’s performance, even when it had no effect on the digital environment). The library of experiences reminded me of the 90’s amusement park ride simulators (for my fellow Spokanites, Riverfront Park’s old SR2 simulator), where you got in the ride and watched a video as the ride moved with the video content. The main difference in the VR headset is you don’t get the added motion; however, you instead have the added immersion of 360 degree view of your environment. For a free app, I think it is a great option for 3DOF experiences, especially since you have multiple options to choose from without having to download a completely new app.